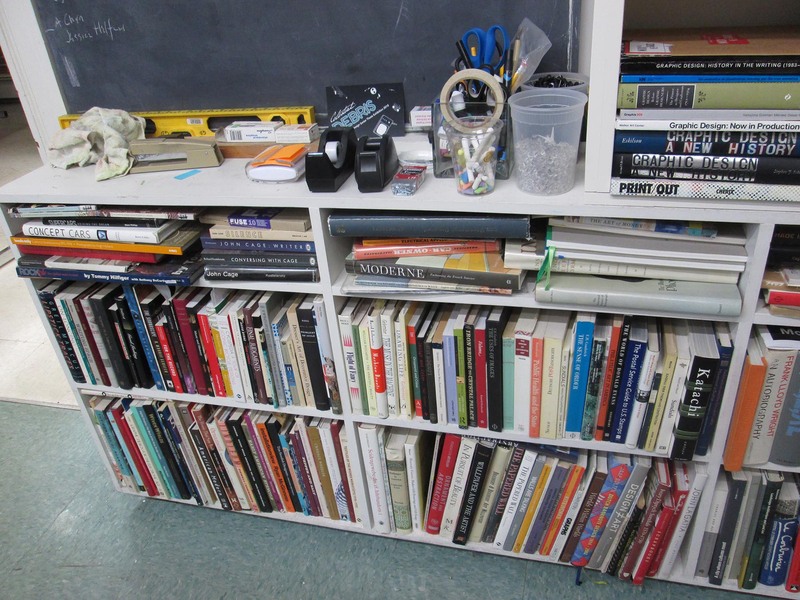 books in design seminar room, as of mid June 2018.
lower cabinet (right) : legos; napkins, cups etc. 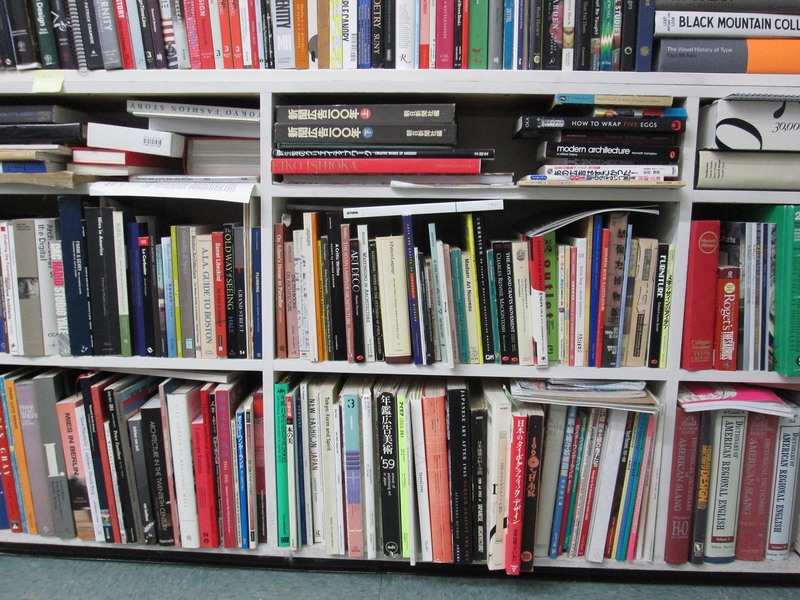 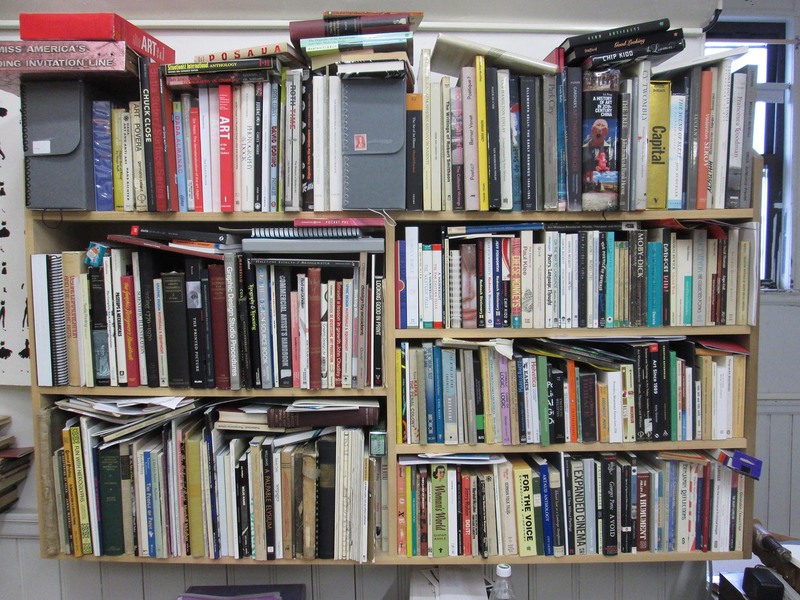 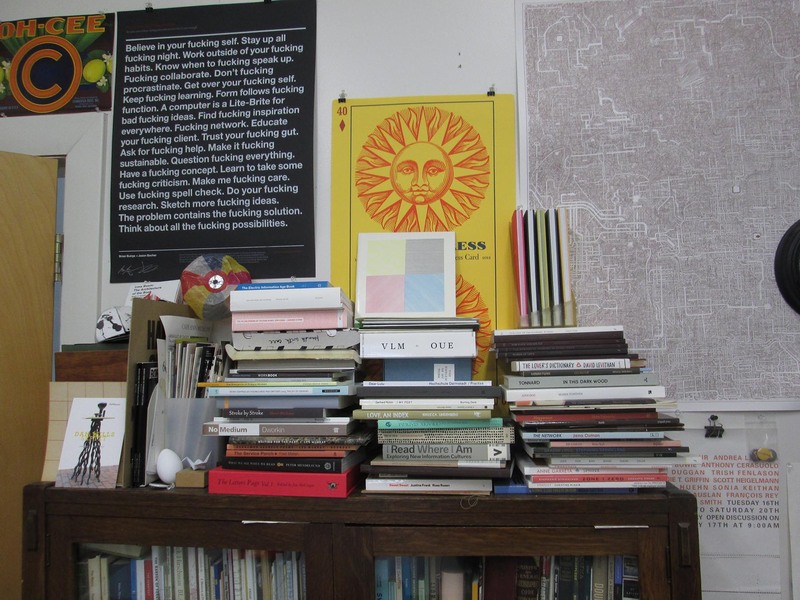 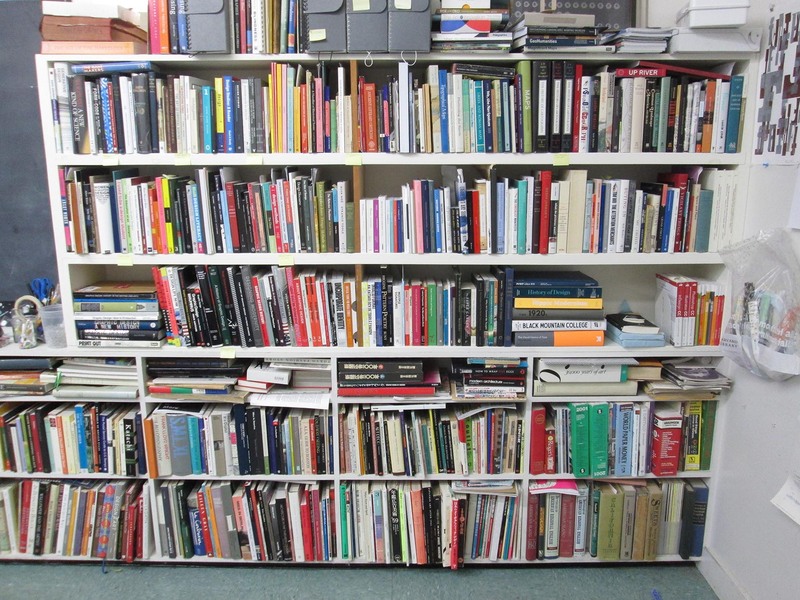 at right: literature, books on film etc, smaller books; twitterature, etc. 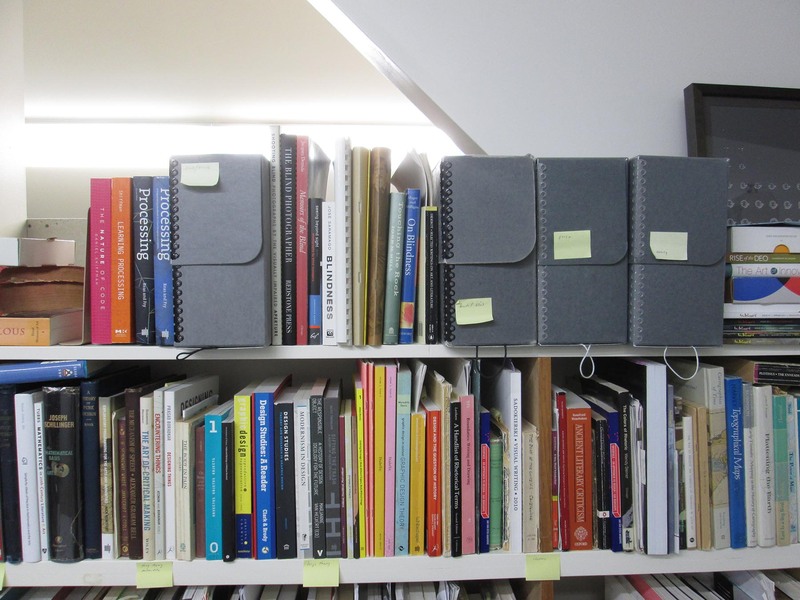 closer view of design theory, rhetoric, history, etc. 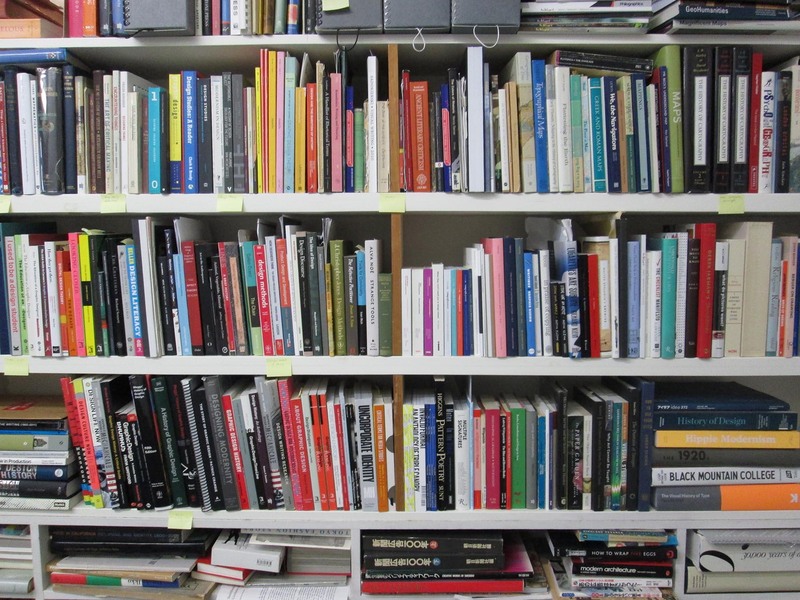 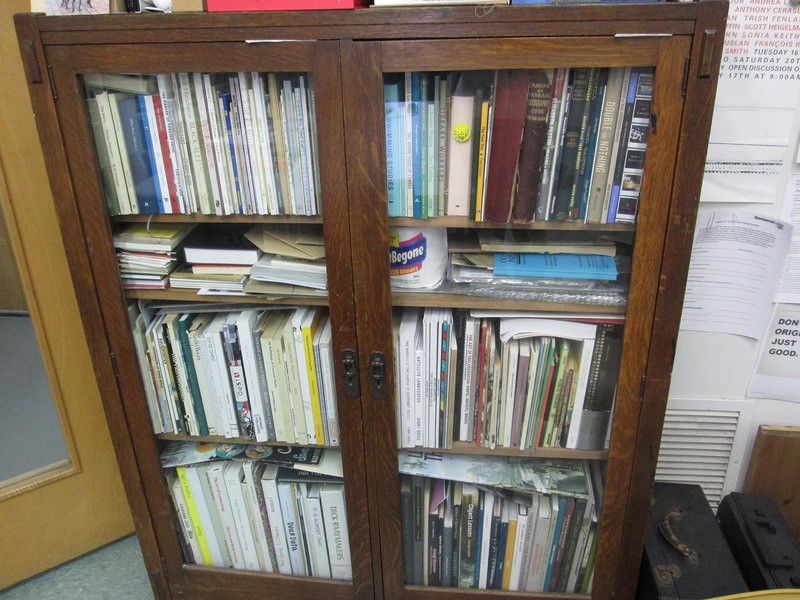 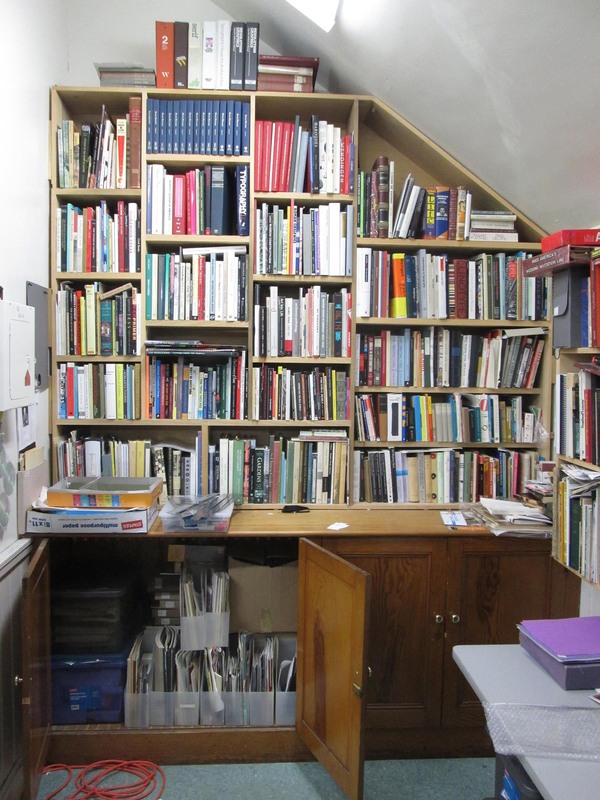 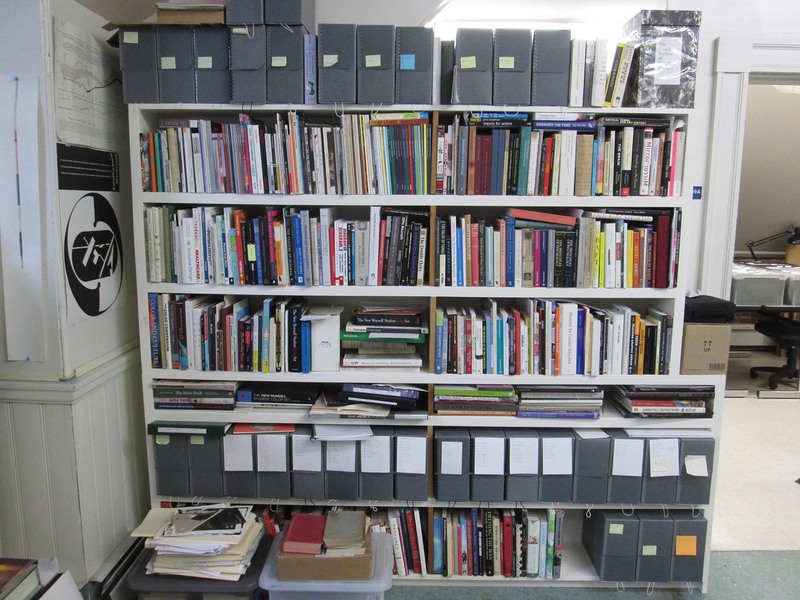 Apart from department and seminar archives, including process books, and some few other exceptions, the books in this library belong to John McVey.